The ARISS Russia team is making plans to support a couple of Slow Scan TV (SSTV) events in the next few months on 145.800 MHz FM. The first session is being targeted for Dec 26-27 (subject to change) to celebrate 15 years of ARISS school contacts with the ISS crew. The down link mode will be PD120 which should allow for the opportunity to receive more images in a single pass. Watch for updates and additional information as it becomes available. 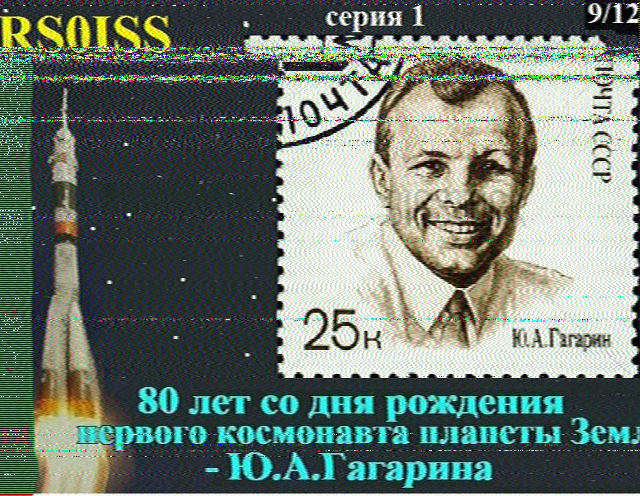 The ISS puts out a strong signal on 145.800 MHz FM and a 2m handheld with a 1/4 wave antenna will be enough to receive it. 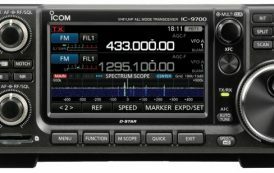 The FM transmission uses 5 kHz deviation which is standard in much of the world. In IARU Region 1 (British Isles, Europe, Africa) FM equipment is usually set by default to the narrower 2.5 kHz deviation. Many FM rigs can be switched been wide and narrow deviation FM filters. For best results you should select the filter for wider deviation FM. Handhelds all seem to have a single wide filter fitted as standard.